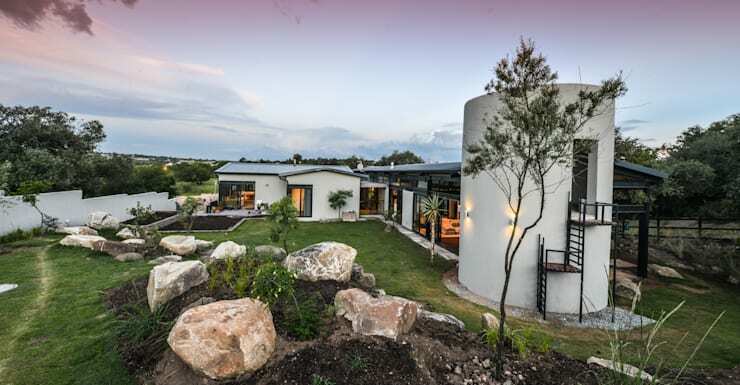 A layout of 200 m²; located in an upmarket and safe residential estate; surrounded by a dense landscape that makes you feel like you’re on your own private game farm – sound good? 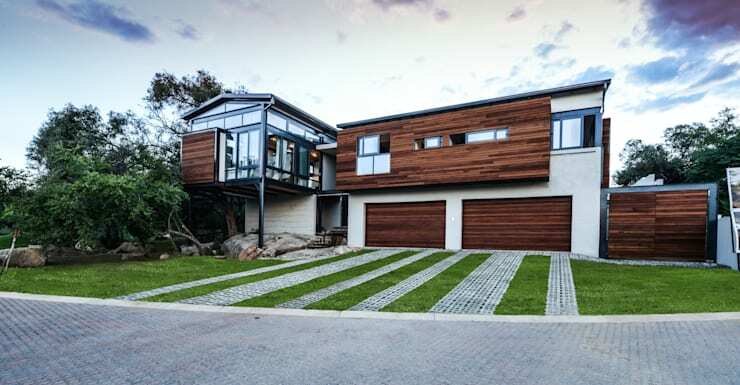 These are just some of the selling points today’s homify 360° discovery boasts, which is a super exceptional house taking up prime space in the Helderfontein Estate in Fourways, Johannesburg. 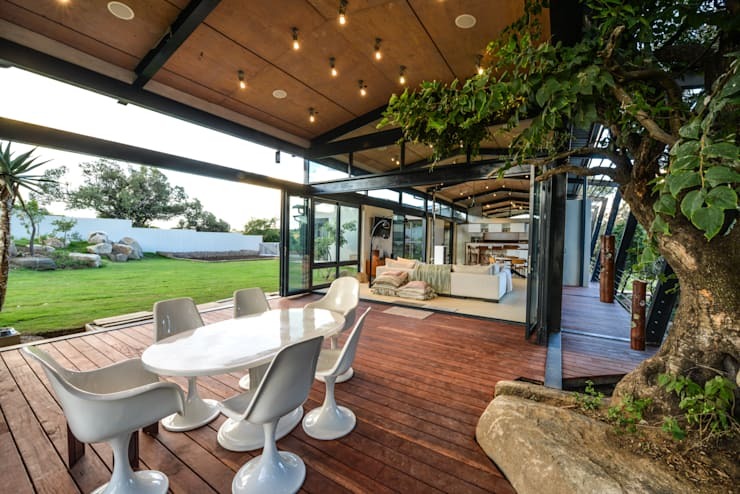 Courtesy of Studious Architects, this stunner was built in the atomic ranch-style of post-World War 2, making use of copious amounts of steel, glass and timber (which is when these materials were plentiful). In fact, these three materials form a repeating theme which can be glimpsed throughout the house. Not only is the house located on a slope, but it presents various balconies and top-floor surfaces where one can enjoy the fresh landscape view, treating the residents to sublime “treehouse views”. 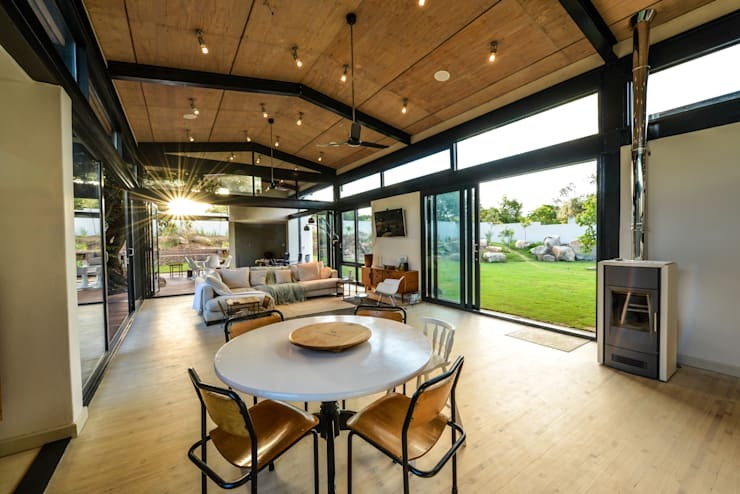 But not only is this house committed to a striking and comfortable lifestyle, it also takes the environment into consideration, making it a most practical, resourceful and eco-friendly home. To complement the estate’s lushness, the back yard treats the owners to a picture perfect combination of large rock boulders, trees and various indigenous plants that grow on site. In fact, nothing was removed here while the house was being built, reinforcing the house’s (and architect’s) aim to leave as small a footprint as possible. Where possible, recycled wood was used for the interiors, which not only results in an eco-friendly structure, but also one which links up (visually) with the dense landscape surrounding the location. To go even greener, the wood-burning oven (seen on the right) doesn’t make use of cut-off trees, but instead opts for timber pellets made from sawdust and off-cut woods. And with pipes that lead to three other rooms in the house, this oven/fireplace is basically the central heating source of the whole structure. In terms of interior décor, pieces mirroring the mid-20th century were opted for to complement the raw and industrial look of the design. And, of course, buying second-hand items means re-using, thereby limiting the demand for environmental resources. But don’t think that this “green” house refrains from using the latest technology. State-of-the-art equipment have been installed and synced up with an audio system to allow the homeowners to complete simple tasks via their phones and iPads, like dimming the lights, checking the security cameras and controlling the music playing through the sound system. The main suite faces south to make optimum use of the exterior landscape. And just to reiterate how lush and vast this location really is: the nearest house from this angle is located 200 metres away. 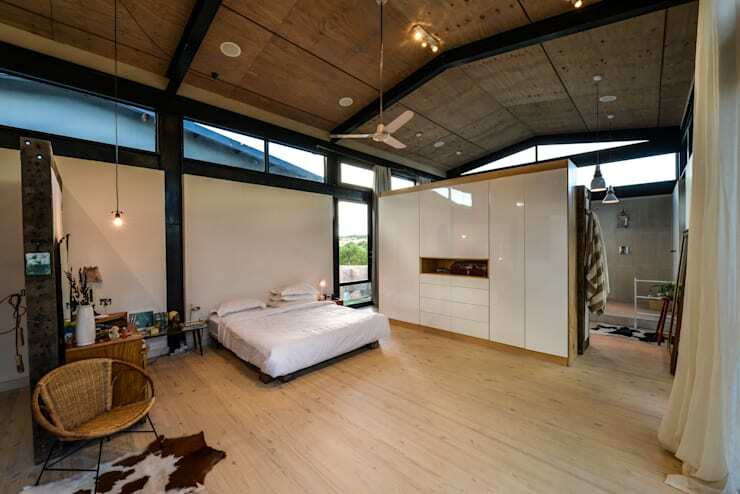 Together with the glass doors, clerestory windows have been inserted to allow even more light inside, which spreads off in various directions, including the en-suite bathroom in the background. We close off our tour of this exceptional house with a glimpse of this distinctive bathroom which seems to combine all of the winning elements that make this house so spectacular: fabulous views, eye-catching materials, ample legroom and a stunning mixture of furniture and décor pieces to ensure a space that’s both super practical and stylish. The dream house of the 21st century is here! For other local beauties to admire, we present: A Johannesburg Beauty With a Secret.